Location. 44° 30.501′ N, 88° 1.131′ W. Marker is in Green Bay, Wisconsin, in Brown County. 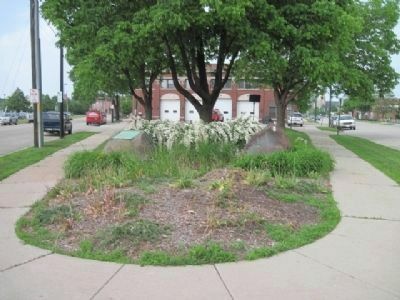 Marker is at the intersection of Washington Street and Adams Street on Washington Street. Touch for map. located at the convergence of South Washington and Adams Streets. 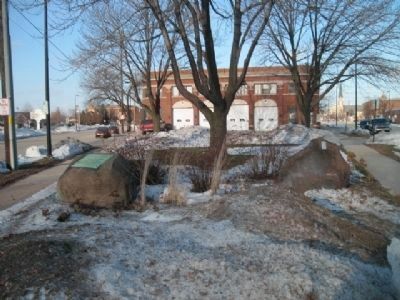 Marker is in this post office area: Green Bay WI 54301, United States of America. Touch for directions. Other nearby markers. At least 8 other markers are within walking distance of this marker. First Catholic Church In Green Bay (here, next to this marker); Bank Of Wisconsin (about 300 feet away, measured in a direct line); Elks Club (approx. 0.2 miles away); Milwaukee Road Passenger Depot (approx. 0.2 miles away); Milwaukee Road Depot (approx. 0.2 miles away); Packers Office Building (approx. 0.2 miles away); Vice Admiral James H. Flatley Jr. (approx. 0.2 miles away); Freimann Hotel Building (approx. 0.2 miles away). 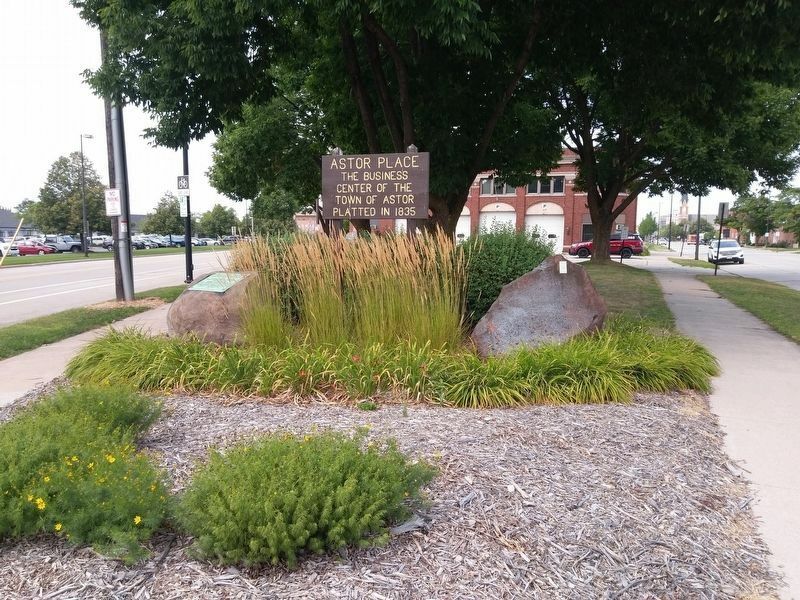 Touch for a list and map of all markers in Green Bay. Regarding La Baye Burial Place. translated as Bay of Bad Odors or Bay of Stinkards. The settlement was renamed Green Bay in 1839. More. 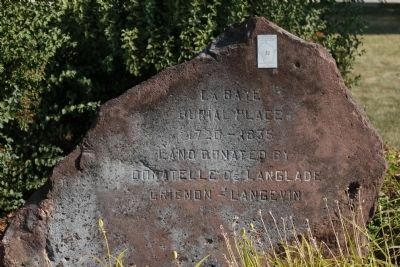 Search the internet for La Baye Burial Place. Credits. This page was last revised on March 29, 2019. This page originally submitted on January 1, 2011, by Bob (peach) Weber of Prescott Valley, Arizona. This page has been viewed 936 times since then and 15 times this year. Last updated on March 28, 2019, by Devon Polzar of Port Washington, Wisconsin. Photos: 1. submitted on July 6, 2012, by Melinda Roberts of De Pere, United States. 2. submitted on January 1, 2011, by Bob (peach) Weber of Prescott Valley, Arizona. 3. submitted on June 6, 2011, by Bob (peach) Weber of Prescott Valley, Arizona. 4. submitted on March 28, 2019, by Devon Polzar of Port Washington, Wisconsin. • Andrew Ruppenstein was the editor who published this page.